We offer free delivery on pond product orders $1000 or less that are shipping to the 48 contiguous U.S. states and can be delivered by UPS, USPS or other similar common carriers. Free delivery estimated arrival time is 5-7 business days. At this time, we are unable to offer free shipping to Alaska, Hawaii and international destinations. International shipping will require additional shipping fees. 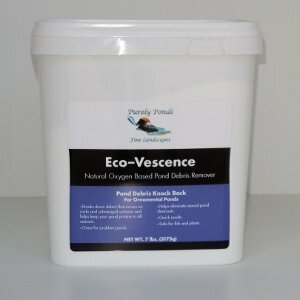 **Free delivery is excluded on all pond and pondless waterfall kits. 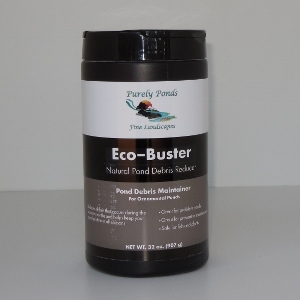 Purely Ponds Eco-Buster natural plant based pond debris reducer works as your consistent pond- helper to stabilize your pond’s micro-nutrients and safely reduce debris from rocks, waterfalls, and streams. 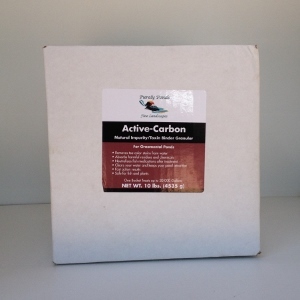 When used regularly, pristine water quality is easier to maintain… consistently! 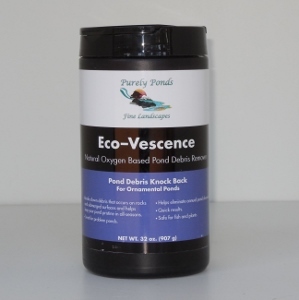 All natural plant derived ingredients enhance the function of your pond’s natural ecosystem. 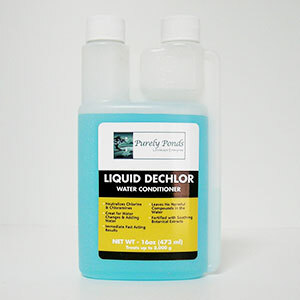 Contains no harmful detergents, surfactants, or other chemicals. One 32 oz. bottle treats 16,000 gallons. APPLICATION RATES DIRECTIONS: 6 teaspoons per 500 gallons. Mix product into bucket with warm water and pour around perimeter of pond and in stream/waterfall areas to ensure proper dispersion. After first treatment apply as often as once per week to maintain desired affect. If required, weekly treatment quantity can be doubled in problem ponds. Must dissolve in very warm water to activate! For optimal results ensure pond is equipped with a mechanical skimmer device or remove excess debris with a fine net the day after treatment; ensure pH of 5.7-9.5.